Kidzapalooza cofounder Tor Hyams recalls some of his favorite surprise performances. 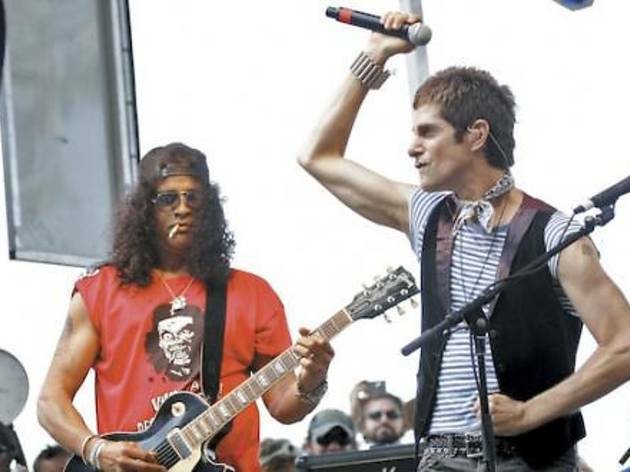 Photo: Rob Grabowski / Retna Ltd. Perry Farrell and Slash perform at the Kidzapalooza stage on day 3 of Lollapalooza in Chicago, Illinois on August 3, 2008. 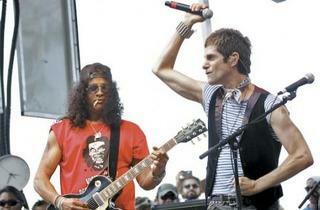 Musician and record producer Tor Hyams didn’t think Lollapalooza founder Perry Farrell would take him seriously in 2005 when he brought up the idea of adding a family-friendly “Kidzapalooza” fest within the fest. But Farrell, a father himself, was open to new ideas since reinventing Lolla as an annual destination festival in Chicago. And, Hyams recalls, they both realized they were onto something. Fast-forward to its eighth year, and Kidza (August 3–6) has become a sought-out event in its own right—not just for families but also for stars. Well-known kids’ acts including Ralph’s World, Care Bears on Fire and Dan Zanes have all performed, but so have musicians not at all associated with family music, including Chrissie Hynde, LeAnn Rimes and G. Love. By now, the audience expects a Lolla notable to make a surprise appearance. Sometimes, it’s even a surprise to Hyams. “In 2007, I got a call from Patti Smith. She said Flea [from Red Hot Chili Peppers] had given her my number and that she’d love to play the Kidzapalooza area if I had room for her,” he recalls. But he didn’t believe it was her. “I was like, ‘Okay, Patti Smith, I’ll call you back later.’ I thought it was a joke.” Once he figured out she really was the punk legend, he apologized profusely and gave her carte blanche to play an unplugged set with her (adult) son, Jackson. That same year, local teenage band the Blisters played the Kidza stage, so Hyams took the opportunity to talk to the mom of the band’s young drummer, Spencer Tweedy, about getting her husband, Wilco frontman Jeff Tweedy, to play, too. She managed to persuade him, but Tweedy had a few caveats: He wanted to play Woody Guthrie, Pete Seeger and other folk tunes, and he wanted to play among the crowd on the lawn, instead of onstage.